The doctors and staff at Eastern Shore Dental Care in Chester, MD are excited to announce the launch of the Eastern Shore Dental Care Scholarship Program. The scholarship program is open to graduating seniors at Kent Island High School and Queen Anne’s County High School who are planning to attend a 2-year or 4-year college and enter the healthcare industry. One winning recipient from each high school will be selected and awarded a one-time scholarship of $1,000 to use towards tuition. 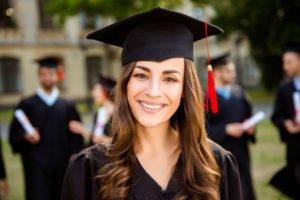 Graduating seniors that are interested in applying for the Eastern Shore Dental Care Scholarship Program should contact their school’s Guidance Counselor. Applications are due March 31, 2019.